Film exploring Kate Bush's career and music, from 1978's Wuthering Heights to her 2011 album 50 Words for Snow, through the testimony of collaborators and those she has inspired. 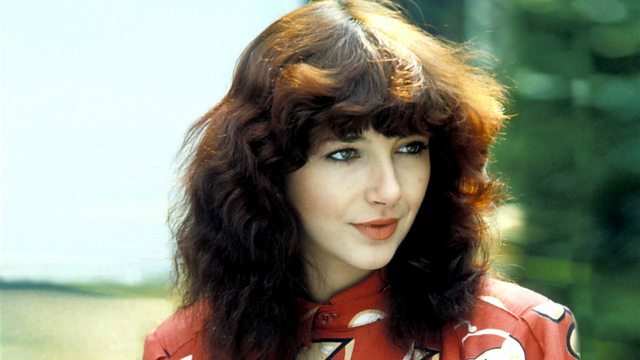 Documentary exploring Kate Bush's career and music, from January 1978's Wuthering Heights to her 2011 album 50 Words for Snow, through the testimony of some of her key collaborators and those she has inspired. Contributors include the guitarist who discovered her (Pink Floyd's David Gilmour), the choreographer who taught her to dance (Lindsay Kemp) and the musician who she said 'opened her doors' (Peter Gabriel), as well as her engineer and ex-partner (Del Palmer) and several other collaborators (Elton John, Stephen Fry and Nigel Kennedy). Also exploring their abiding fascination with Kate are fans (John Lydon, Sidi Larbi Cherkaoui) and musicians who have been influenced by her (St Vincent's Annie Clark, Natasha Khan (aka Bat for Lashes), Tori Amos, Outkast's Big Boi, Guy Garvey and Tricky), as well as writers and comedians who admire her (Jo Brand, Steve Coogan and Neil Gaiman). Journey back in time with these classic artists.